This week I decided to take a day off on Thursday to go out a spend a day of leisure. It made me reevaluate my definition of freedom. Below is my Facebook Live entitled ‘what does freedom look like to you? Something has come over me. I just feel that spirit that you truly not only dreaming your biggest dream by you should be living your biggest dream. Let me break it down. In physics there are two types of energy: potential and kinetic. Potential energy is the energy where you just exist. There is not movement. There is no change. Kinetic energy is energy in motion. It is active versus passive. Let me apply these two energies regarding dreaming versus living. Dreaming is potential energy. Without action, dreaming does not go anywhere. Living is kinetic energy and every week I want to live your biggest dream. It’s not just you. 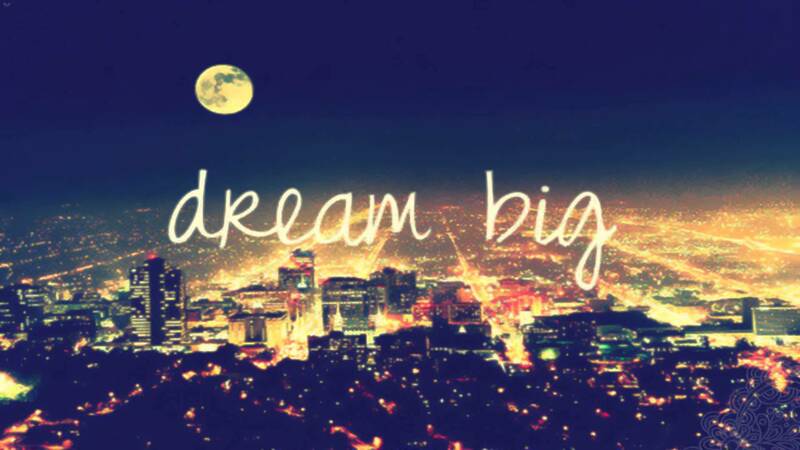 I am working on my dream too. I am working on building Phenomena, writing and communicating to more people. I have enrolled in a business mastermind. I have completed week 1’s homework. The mastermind is led by a millionaire forcing me to stretch myself personally and professionally. Last year I experienced some investments that did not generate any returns. I could not fault some of my associates because they were not responsible for certain jobs and contracts falling through. However, after one year of not getting any results, I would be foolish to keep working with them in 2017. See, even with me it is important that I live my biggest dream too. I have included some other very good articles about making your dreams come true.